Last time I wrote about the Nintendo Switch, I pondered about third-party sports gaming on the console. While NBA 2K and FIFA released their ‘18 versions, other major sports games (Madden and NHL specifically) were relatively quiet. Switch owners were hoping that Madden or NHL would be shown at E3 with the signature click in the beginning but were once again left behind as EA focused their games on Playstation 4, Xbox One and PC. What I purposely didn’t mention is Nintendo’s first-party games and how they could change the landscape of sports gaming on the Switch. That statement probably sounds more dramatic than intended, but Nintendo has a lineage of making really good sports games. We aren’t just talking about Mario sports games either. When the Wii launched on November 19, 2006, an unknown game called Wii Sports was packaged with it. Wii Sports consists of five separate sports game – tennis, baseball, bowling, golf, and boxing. These games used the Wiimote motion sensor capabilities and the gyro stick on the Nunchuck. Wii Sports went on to sell over 82 million copies by the end of 2017. This makes Wii Sports Nintendo’s best-selling video game of all time, beating out Super Mario Bros. by over 40 million copies. On June 26, 2009, Wii Sports Resort was released on the Wii and is the sequel to Wii Sports. While not doing the numbers that Wii Sports did, Wii Sports Resort sold over 33 million copies and held some pretty good scores on sites like Metacritic (80%). Wii Sports Resort has thirteen sports available with such fan favorites as swordplay, table tennis, and golf. 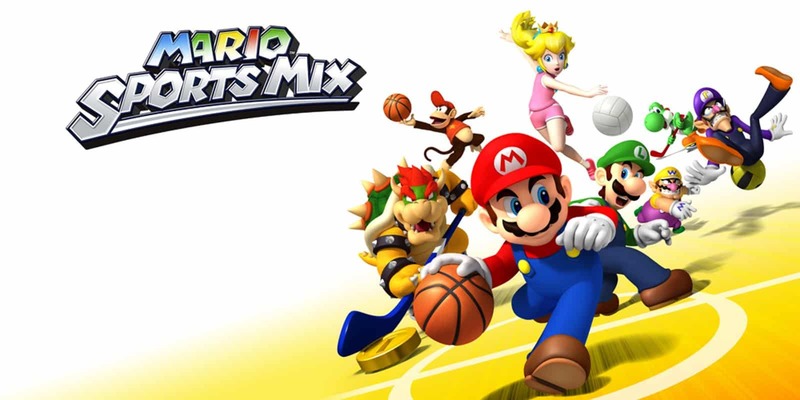 This isn’t to say that Mario doesn’t have his own plethora of sports games. Recently, Nintendo launched Mario Tennis Aces on the Nintendo Switch. While monthly sales numbers may be a little premature, it is estimated that Mario’s return to the clay courts racked up 123,744 copies sold to consumers in its first week in Japan. This is quite promising for Nintendo when you look at Mario Tennis: Ultra Smash’s first week on the Wii U (55,000 units sold) and Mario Tennis Open’s first week on the Nintendo 3DS (102,000 units sold). Nintendo has the option of going back to the well to revive already established Mario sports games or creating new ones. When I posted my “Nintendo Switch Owners are Craving Sports Games” post in the Nintendo Switch subreddit, a lot of the comments were directed towards the Mario Strikers series. Mario Strikers, also known as Mario Football in PAL Regions, originally debuted on the Gamecube as Super Mario Strikers. There was also a Wii game released in 2007 known as Mario Strikers Charged. While the Nintendo Switch currently has two well-rated soccer games on the platform, Mario Strikers could fill a needed arcade-to-serious sports roll. Those who aren’t in tune with soccer are less willing to pay for a game like FIFA 18 where knowledge of the game is needed to succeed. The same goes for Football Manager Touch 2018 which is more of a football simulator than it is a game like FIFA. Golf is a sport that is seriously lacking on the Nintendo Switch. At the moment, the only golf game is Golf Story but is unlike a typical golf game. You don’t hit the links looking to win the championship, but follow the story of a man who looks to get back into his professional ways. Mario Golf is also a game that has been released on a myriad of Nintendo consoles. Starting in 1999, a version of Mario Golf has been released on the Nintendo 64, Game Boy Color, GameCube, Game Boy Advance and the Nintendo 3DS. Last is the Mario Baseball games, another sport that is lacking games on the Nintendo Switch. Currently, the Switch boasts one baseball game: RBI Baseball. While RBI Baseball 18 looks better on the Nintendo Switch than RBI Baseball 17, the reviews have not been nice to it. Currently, on Metacritic, it has three reviews with scores of 55, 50 and 40. Mario Baseball hasn’t had a release on a Nintendo console since Mario Super Sluggers on the Wii. This isn’t just about Nintendo’s existing sport’s IPs either. It’s possible that throughout the Switch’s lifespan, Nintendo branches out into other sports such as hockey, basketball and a revival of Punch Out (although there was a Punch-Out!! was released on the Wii in 2009). I hinted at it in the previously mentioned sports post, but the Switch’s market is ripe for good sports games and Nintendo bringing their A-game to the genre has the potential to satisfy their customers. It necessarily doesn’t need to be a Mario game as Wii Sports or a variation of it could use Nintendo’s JoyCon technology incredibly well. The door is open and Mario Tennis Aces could be doorstop that keeps it open.